"Beyond Excellence! Knowledgeable, understanding, a genuine teacher at heart! Despite the fact that I didn’t have any prior knowledge in computer science or the curriculum for AP Computer Science, and could only show him my working sheets, Avan was able to explain the fundamentals and to walk me through the necessary principles needed in order to do homework and to do great on my quizzes and tests. He has the gift of knowledge and patience, and he’s also resourceful. But his greatest attribute is making the most difficult concepts easy. Thanks to him I’m doing great in my AP Computer class, keeping my grade in the 90’s. Additionally, he’s really flexible and accommodating with dates and times and his prices are really reasonable. I’m happy I found him and hope others can find him too. I know how frustrating and scary a subject can be when you have no understanding of it. I highly recommend him! 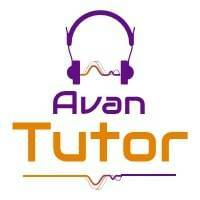 "Avan is very patient and explains concepts thoroughly. Makes sure you understand the material. Great guy as well as a teacher. Honest, fast, and easy!" All sessions are conducted via Teamviewer (https://www.teamviewer.com/en-us/). It is better than meeting in person (honestly). * 1) EMAIL - Reply to this post via email.